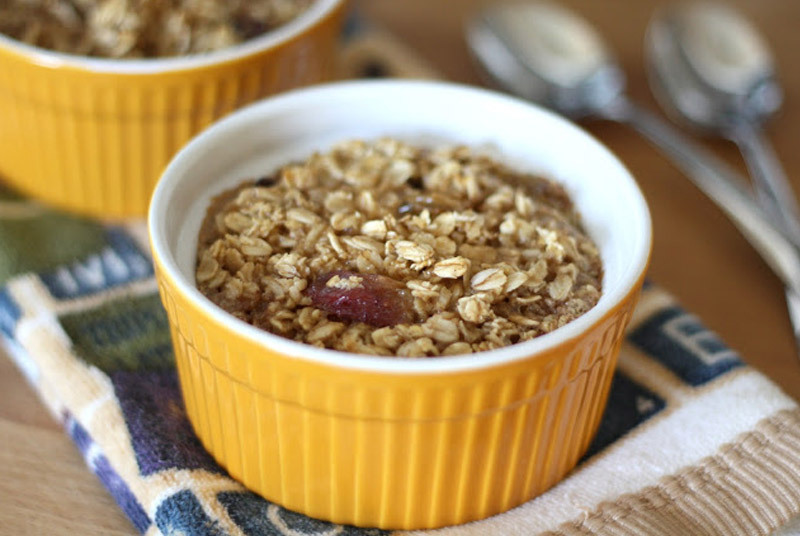 Baked Oatmeal Recipe | Winners Drink Milk! Combine all ingredients large microwave-safe mug. Bake at 400 degrees for 15 minutes (or microwave on HIGH 2 1/2 minutes) or until fully cooked. Top with additional yogurt, fruit and nuts, if desired.